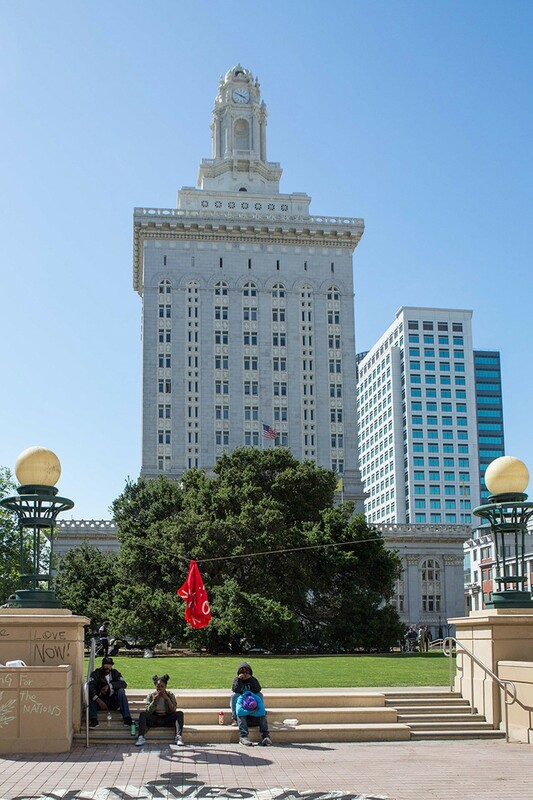 Taxing Short-term rentals: Oakland city officials believe there are approximately 1,155 businesses in Oakland at any given time operating hotels out of homes through platforms like Airbnb, Homeaway, VRBO, and Flipkey. Problem is, a lot of these hotel operators aren't paying taxes, so the city's revenue and management bureau has gotten its hands on state tax return data for Oakland property owners and is conducting a compliance audit to make sure "hosts" aren't cheating the system. Per Oakland law, anyone who operates a hotel has to collect transient occupancy taxes from guests and remit them to the city. TOT runs 14 percent of a guest's total bill. As of today, Oakland only has a tax agreement with Airbnb to collect TOT. Other short-term rentals likely aren't paying their fair share. The other tax owed by short-term rental landlords is the business license tax, but unless a hotel grosses more than $33,335 a year, then the hotel operator only owes flat fee of $60 to the city. It's unclear how many short-term rental landlords are making that kind of money off Oakland real estate right now. Today's Finance Committee meeting will include a discussion on the city's attempts to find short-term rental tax cheats. Oakland is also moving in the direction of San Francisco, Berkeley, Los Angeles and other cities that have established rules for short-term rentals in an effort to mitigate their negative impacts on neighborhood character and housing prices. At the Community and Economic Development Committee today the city council will consider a vague set of proposed short-term rental rules. Taxing Uber: The other big "sharing economy" sector in Oakland that possibly isn't paying a fair share of taxes, and which is skirting existing regulations, includes the taxi-killers Uber and Lyft. According to city staff, Oakland can't regulate so-called transportation network companies because the state Public Utilities Commission has sole authority. Even so, Oakland's Revenue Management Bureau has been examining this growing sector to see if the companies that make the apps, and the drivers who use them, are out of compliance with city laws. For example, it's possible that a lot of Uber and Lyft drivers aren't registered to pay Oakland's business license tax, even though they're operating businesses in the city. Oakland's revenue and management bureau is currently auditing tax returns of TNC drivers to see if they're paying. Revenue wreckage: Tasked with these audits is Oakland's revenue and management bureau, but of course it doesn't help that the revenue and management bureau — which collects $150 million of Oakland's tax dollars — is just now crawling out of a period of serious dysfunction. The Alameda County Grand Jury actually investigated Oakland's revenue and management bureau over allegations of cronyism and mismanagement. The Grand Jury found that for years the bureau's leadership has been lacking, communication was extremely poor, and employee morale plummeted. The Grand Jury gave credit to the bureau's new head, Margaret O'Brien, for improving business practices and boosting morale. But there are still major problems that the city needs to respond to. For example, the city is still bogged down in a lawsuit with Progressive Solutions, Inc., the software vendor that created Oakland's key business tax system. Last year, the revenue and management bureau's former head David McPherson cut the contract which led to PSI filing suit. McPherson was subsequently pushed out of his role in Oakland, but now he works for Hdl, the competitor of PSI that just won the contract PSI used to have managing Oakland's business tax software system. PSI is still suing the city for breach of contract, and in a prior interview, Glenn Vodhanel, PSI's president, told the Express he thinks its possible that Oakland could be imperiling its ability to collect taxes because the city is allegedly using his unlicensed software system still. "The Grand Jury is concerned with the expiration of a key collection software license. In order to protect against harmful system outages, the Revenue Division should ensure that the licensing issue is fully addressed."